Set up for civlized cruising with electric halyard winches, bowthruster, chart plotter at the helm and inmast furling. Purchased by the current owner in 2017, with new dinghy in 2017 and new rig in 2018. The 2 cabin 2 head layout results in more generous rectangular double berths than is usual for a boat of this size. No dirty dark corners, very clean and in lovely condition. 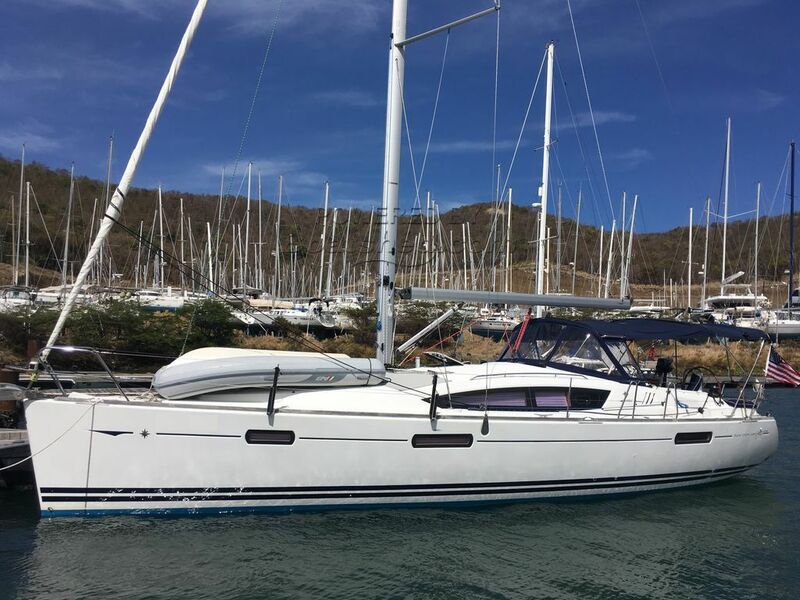 This Jeanneau Sun Odyssey 42 DS 2 Cabin has been personally photographed and viewed by Anita Sutton of Boatshed Grenada. Click here for contact details.